I assume this is the car I featured back in January, 2012. (What are the chances of there being two cars like this?) It was in Upstate New York at the time. 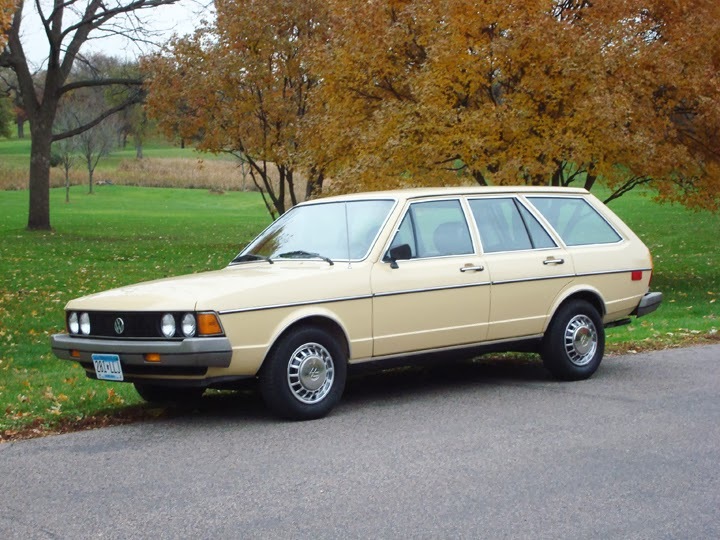 This is the first Passat. It was only known as the Dasher in North America. I have no idea why. 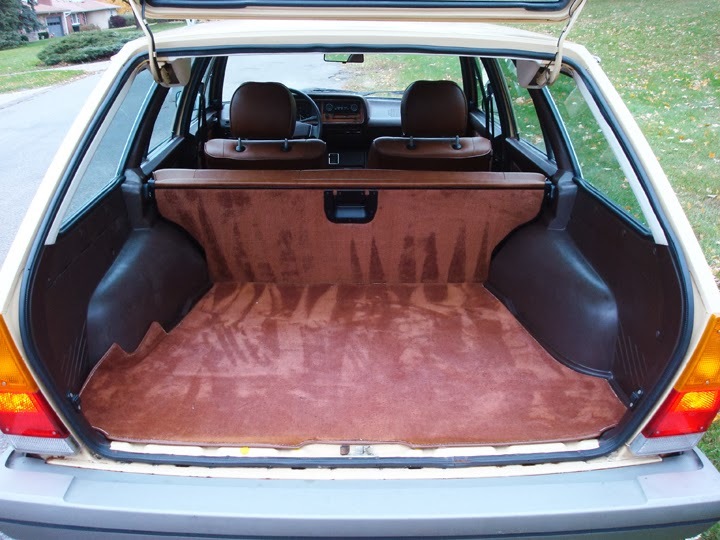 For all intents and purposes, the Dasher is an Audi 80 (known as the Fox in the US) in different clothing. The body was designed by Giorgetto Giugiaro and is (arguably) more sportier looking than the higher priced Audi. Mechanically, the two cars are identical. The Dasher is not a quick car. It takes between 12 and 13 seconds to hit 60 MPH. 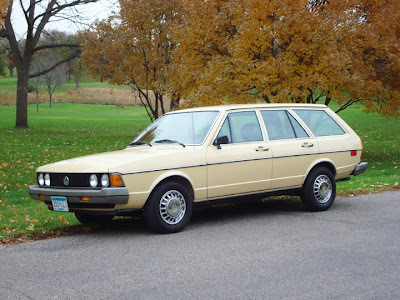 VW sold the Dasher in North America until 1981. 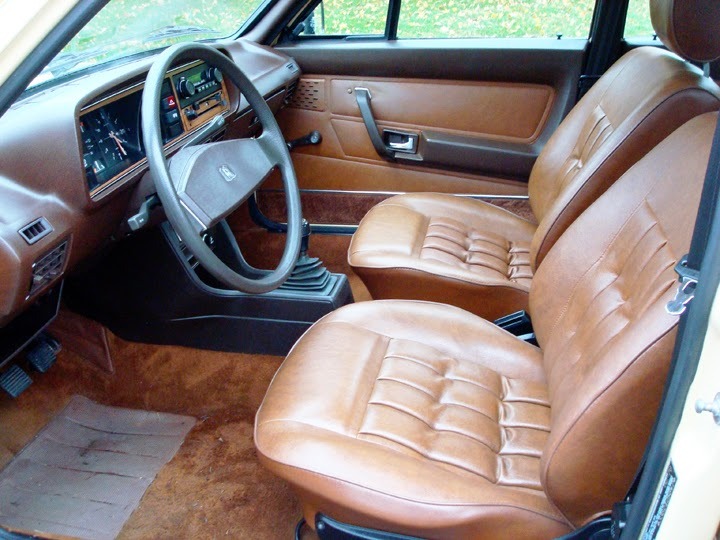 (All 1981 cars were painfully slow, 49 horsepower, diesel cars.) In 1982 they introduced the Quantum, which was also known as the Passat everywhere except for North America. VW dropped the slow selling Quantum from the US lineup after 1988. They took a year off, and then, in 1990, sent us the third generation Passat, which was finally badged as a Passat here. This is an amazing 23,000 mile car. 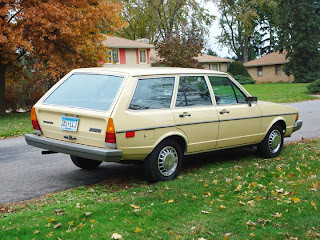 The seller - a dealer - does not say why the mileage is so low, or how and why it is now in Minnesota. I'm not 100% sure, but if I remember, the asking price for this car was high back in 2012. If the current owners bought it to flip it, they may have a tough time. 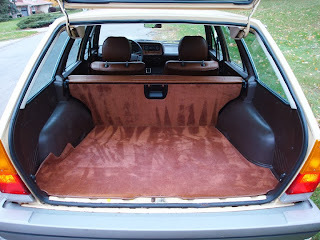 As nice as this car is (and it is nice), it is still a Dasher wagon and it's a mid to high four-figures car, at best. Located in Hopkins, MN, click here to see the eBay listing. Otherwise a very nice car, unfortunately without a/c which makes it very unpractical for the So.Cal. area. Great car!!!! Bring A Trailer posted it back around the same time you first did. The price then was $8000.00. That's a lot of money for this car.